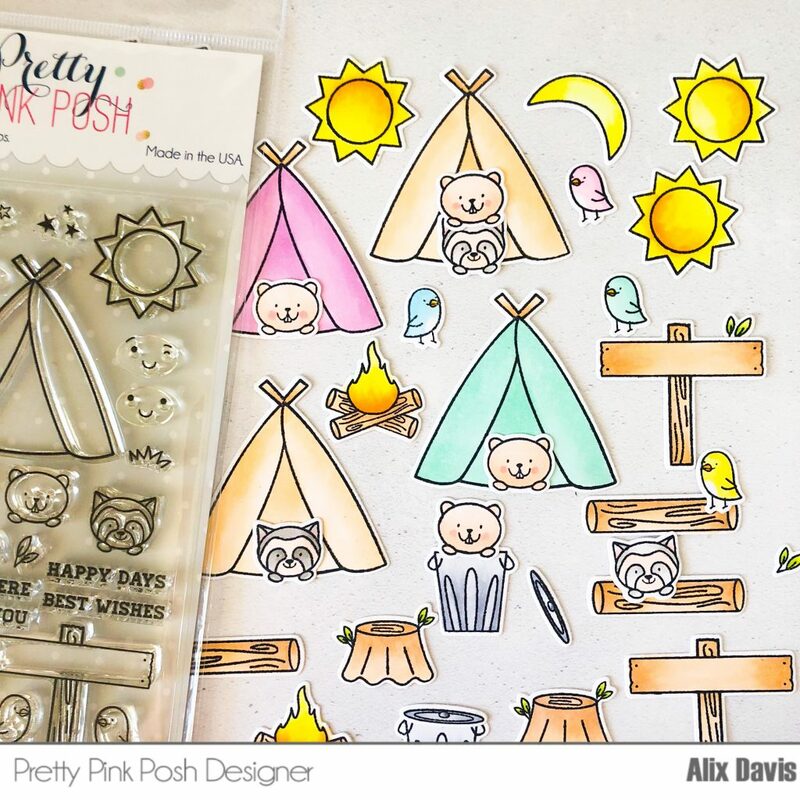 I am here sharing 3 cards I made using Pretty Pink Posh Camping Friends Stamp set. We are having 3 days sale starting from today. 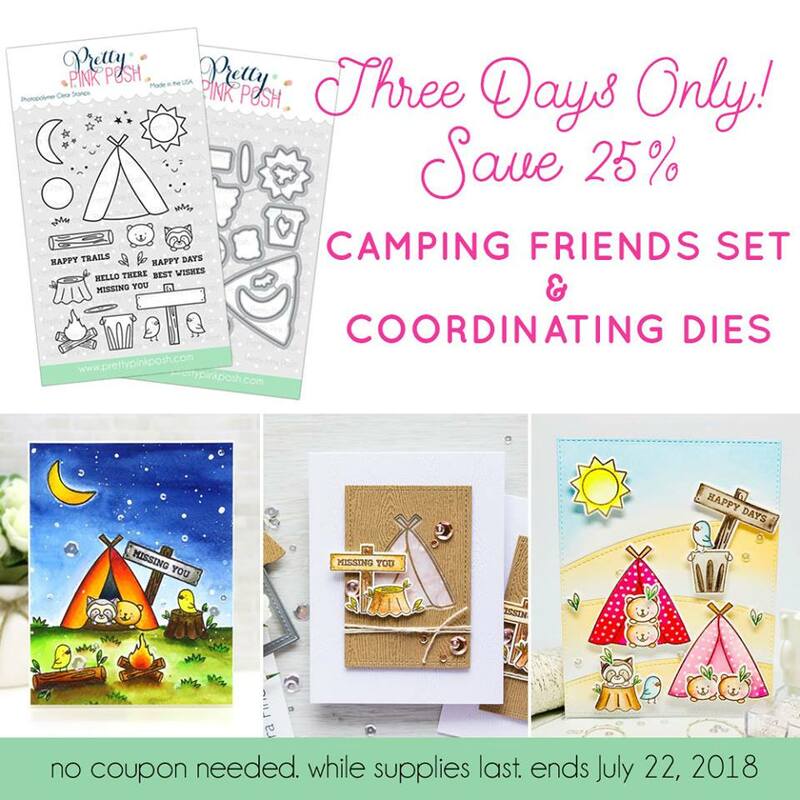 You could get 25% off on this stamp set and it’s coordinating dies. Don’t forget it’s free shipping if you spend $60 or more. 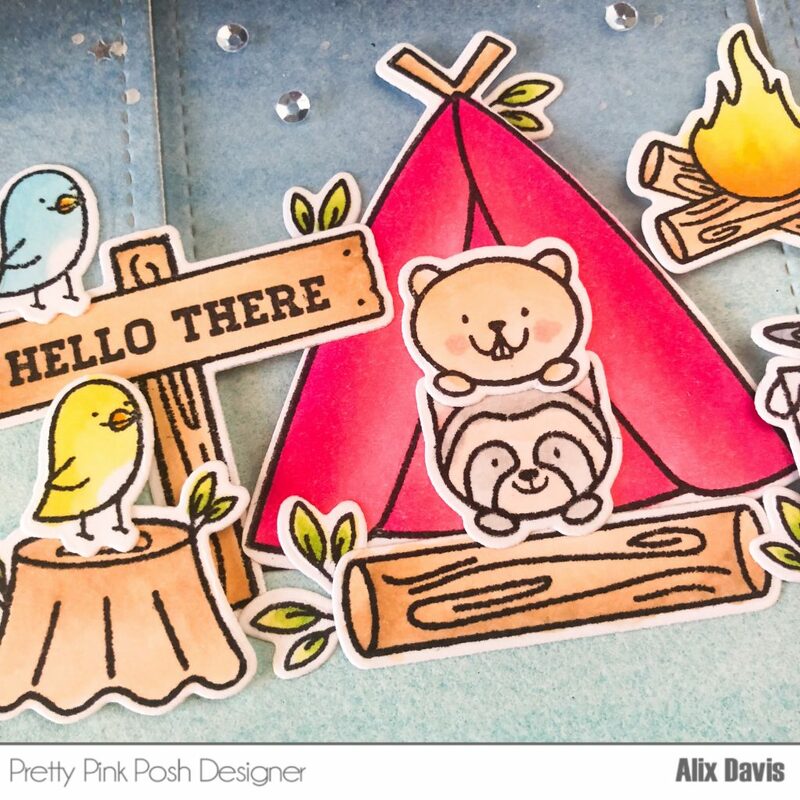 For my first card, I started off with stamping out all images from Camping Friends Stamp set. 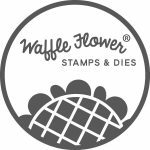 I stamped them onto some Neenah Solar White Cardstock and colored them in with Copic Markers. Once they were all colored I used the coordinating dies to cut them out. I ink blended Tim Holtz distress oxide ink in Cracked Pistachio and Picked Raspberry onto a piece of Tim Holtz Distress watercolor paper with very light pressure to build pastel colors. I cut the frame using the Scallop Frame Die out of a piece of white cardstock, then I attached the frame onto the background panel with some Foam tape. Lastly, I arranged colored images inside the frames I created using either Multi Medium Matte or Foam tape. 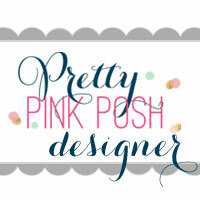 I added some Pretty Pink Posh jewels in Spring Green to embellish the scene. I ink blended the background using Tim Holtz distress oxide ink in Tattered Rose and Worn Lipstick (upper part), Salty Ocean (Lower part) onto a piece of Tim Holtz Distress watercolor paper . To create the grass areas and river, I hand drew the curve of the river on another watercolor paper, then hand cut it. I ink blended the background using Tim Holtz distress oxide ink in Twisted Citron and Cracked Pistachio . After gluing background parts together, I arranged selected colored images onto the background using either Multi Medium Matte or Foam tape. For embellishments, I used Pretty Pink Posh Seed Beads in Spring Green and 3mm Sparkling Clear Sequins. I made some line details using White Gel Pen in the end. For the third card, I decide to do night time camping scene. To create the background, I used 1.5 wide watercolor brush applying two shades of watercolor paints in blue onto a piece of Tim Holtz Distress watercolor paper. I cheated a little since I am not very good at water-coloring. I ink blended the top part of panel using Tim Holtz Distress oxide ink in Black soot. I sprayed water over inked background and removed all wet spots with a piece of paper towel. When it dried, I splattered some white paint using a toothbrush to create thousands of stars. Then I Stamped stars from this stamp set with Versamark ink and embossed with white embossing powder. You could only get 25% off for this set while supplies last. So don’t let yourself regret if you wait too long. Thank you for reading this post. Enjoy your days! 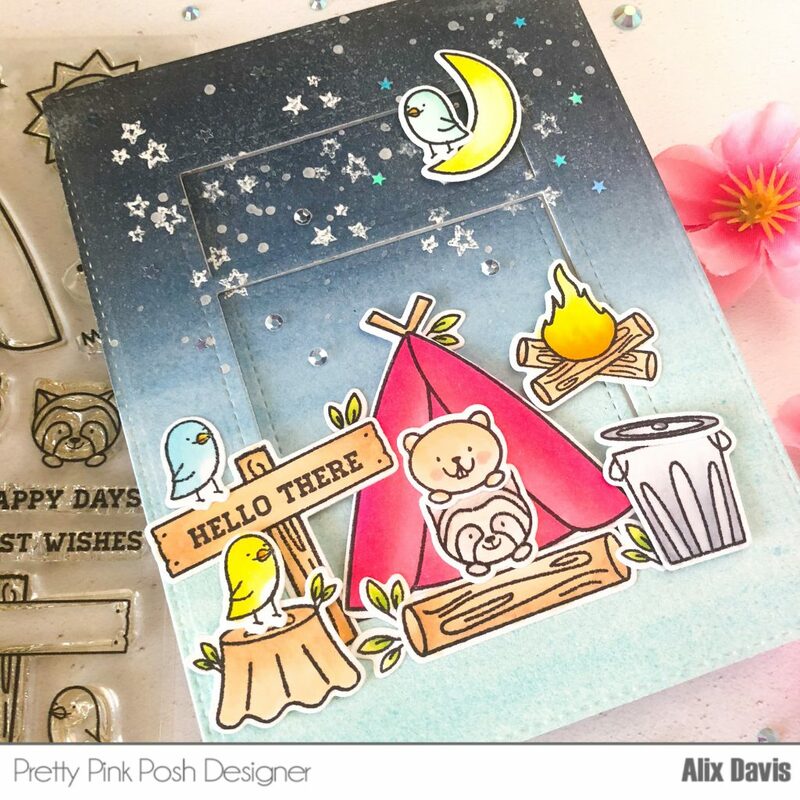 This entry was posted in Cards and tagged camping friends, Craft sale, Distress oxide, Ink blending, jewels, Pretty Pink Posh, Sequins, shaker card.